Luxury and convenience go hand-in-hand at the Courtyard Mumbai International Airport. 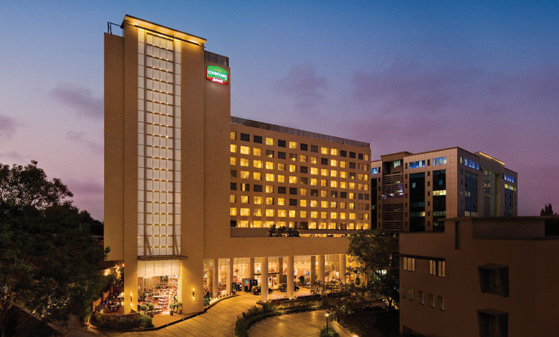 Ideally situated in the Andheri East suburb of the city, near Mumbai's business hub and both airports, our hotel welcomes you with impeccable accommodations and thoughtful amenities. You'll feel at ease the moment you walk into our inviting open lobby, with its abundant natural daylight. Well-appointed rooms and suites showcase pillow top mattresses, marble bathrooms with rain showers, and flat-screen TVs. Sample world-class dining here at the hotel - from flavorful Thai cuisine at Red Zen to a vibrant International buffet at MoMo Cafe. If you're hosting an event here in Andheri East, you can make use of our unique function space and experienced planning services. And business travelers will be thrilled with our airport-area location and helpful amenities like high-speed Internet access, as well as a spacious work space in every hotel room. We look forward to welcoming you to the Courtyard Mumbai International Airport!